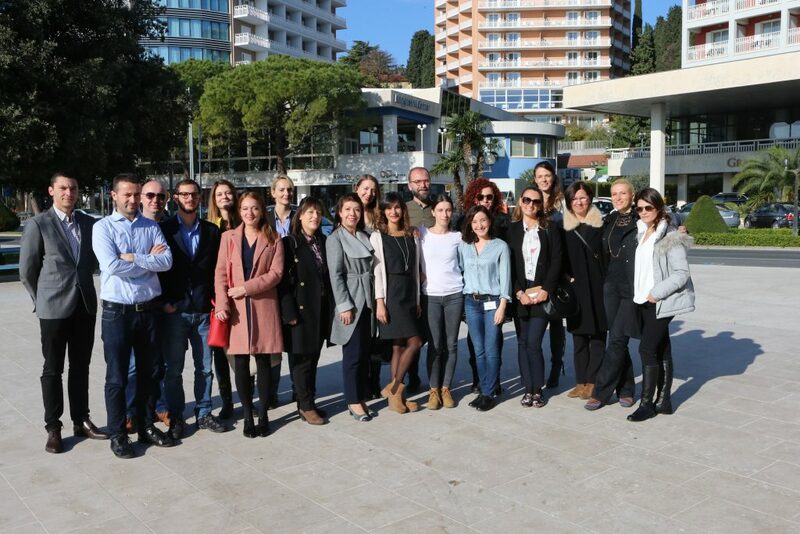 After the completion of the fellowship practice phase in the host institutions, seventeen fellows from the 9th Generation of the European Fund for the Balkans’ Fellowship Programme for Government Officials from the Western Balkans (Fellowship Programme) gathered in Portoroz, Slovenia, for a final seminar on November 18 to 23. The objective of the final seminar was to provide the fellows with practical skills in two areas: Change management and EU Accession Negotiations, in order to prepare them to take an active role in the EU accession processes in their respective countries and administrations. The final seminar offered a specifically designed combination of learning, networking and team building, and included training sessions in communication and presentation skills, hence preparing the fellows for a knowledge transfer in their home institutions. This is the final phase of their preparation for the return to home institutions, in which they will have a change-making roles. The final seminar is carried out in partnership with the European Fund for the Balkans and the College of Europe.